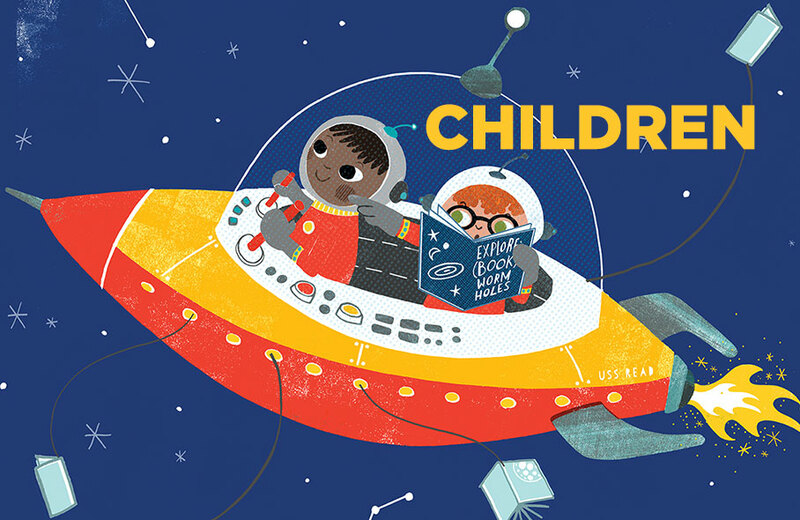 Tulsa Library's 2019 Summer Reading Program runs from May 28 to August 3. Check out the amazing events at libraries across the county! Read books to earn prizes! For infants, toddlers, and pre-school age children. For children who are entering kindergarten, through those entering 5th grade. For youth who are entering 6th through 12th grades. For adults; students ages 16+ may join this program rather than the teen program, if they prefer. For each program, readers can earn prizes by completing the program challenge. Books, e-books, comic books, and audiobooks all count! Prizes are awarded starting June 17, 2019. 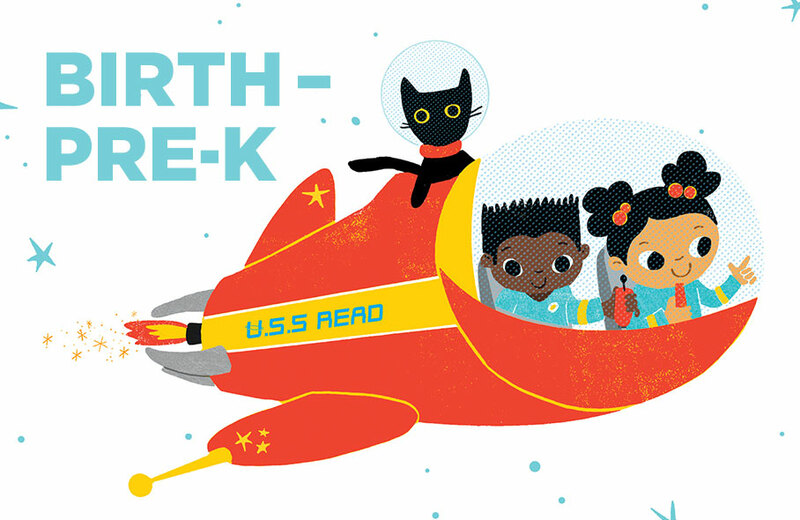 For the Birth-Pre-K Program and the Children's Program, children must visit a library (or the Bookmobile) 4 times, and read (or have read to them) 8 books to earn their medal and coupon book. They may also read an additional 12 books to claim their bonus prize, either a plush cow jumping over moon toy (Birth-Pre-K) or an inflatable space shuttle (Children). 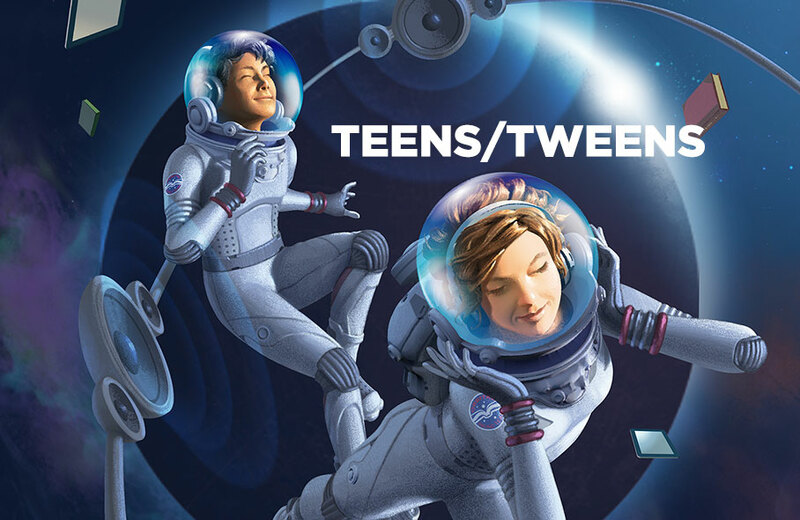 Teens and Tweens must read 6 books to earn their cosmic sculpture completion prize and coupon book. 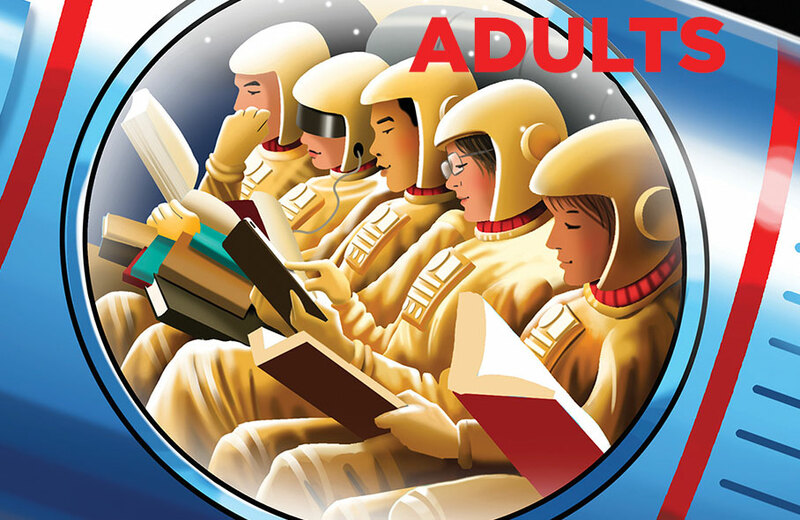 Adults must read 4 books to earn their space mug and coupon book. Prizes are awarded as supplies last; the library reserves the right to substitute prizes if necessary. The 2019 Library Summer Reading Night with the Drillers will be Saturday, August 3 - the game starts at 7:05pm (gates open at 6:00pm). Youth who complete the Birth-Pre-K, Children's, or Teen/Tween Summer Reading Program will earn a coupon for a free general admission ticket to the game.